I did a mini happy dance in the bookstore the day I spotted To All The Boys on the shelves! I was so psyched that they had released it early here. I jumped to it as soon as I could and I really enjoyed. Watch out for my book review for it soon! The rest of the books I got were other random recs I’ve discovered through the blogs I follow. They seemed worth checking out and exactly like the kind of books I’d like to read this summer so I’m looking forward to them! Have you read any of the books I’ve bought lately? How did you find them? What pretty books did you recently get too? Tiger Lily is a beautiful, sad story! I loved it. I like it too! :) I liked the illustrations in the cover which is why I bought it haha! I’m so glad to hear you loved Tiger Lily! I’ve been hearing great things about it! Yay, I actually had to order my copy of “To all the boys…” from the US, it apparently doesn’t come out in the UK until August :-(, so I’m really jealous that you have it!! I’ve seen Tiger Lily about quite a bit, and I just haven’t picked it up yet(I think it was published a couple of years ago too). Jenny Han! I love the cover of that book. Where’d you find it? FullyBooked? 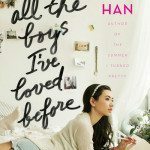 i plan to buy myself a copy of Jenny Han’s too :)i’ve heard great things on Tiger Lily as well. I already have an ebook so if i like it i will get a hard copy. It makes me happy to hear you also enjoyed To All The Boys. Okay, I’ll let you know how I find Lost It. I’ll keep my fingers crossed for Tiger Lily! I think if everyone had a weekly bookstore run the world would be full of happier people. I like your tradition. We just got a big, pretty stack of Jenny Han’s books in hardcover at my bookstore. While it’s not generally my taste, I think the premise of unsent letters being unwillingly sent off is really intriguing. I might have to read a few chapters on my lunch break. I want to read Tiger Lily so very badly! Looking forward to your thoughts on these. I am so excited to read To All the Boys, I really hope my library gets it in soon. I am going to have to send them a list of books to order! OMG they already have To All the Boys I’ve Loved Before? ME JEALOUS. I’ve heard great things about Tiger Lily too, I’m hoping I could find a copy here. Anyway, I hope you’ll enjoy all those books, Hazel! I read Tiger Lily and absolutely loved it, it’s a very slow-paced, oh-so-subtle book! 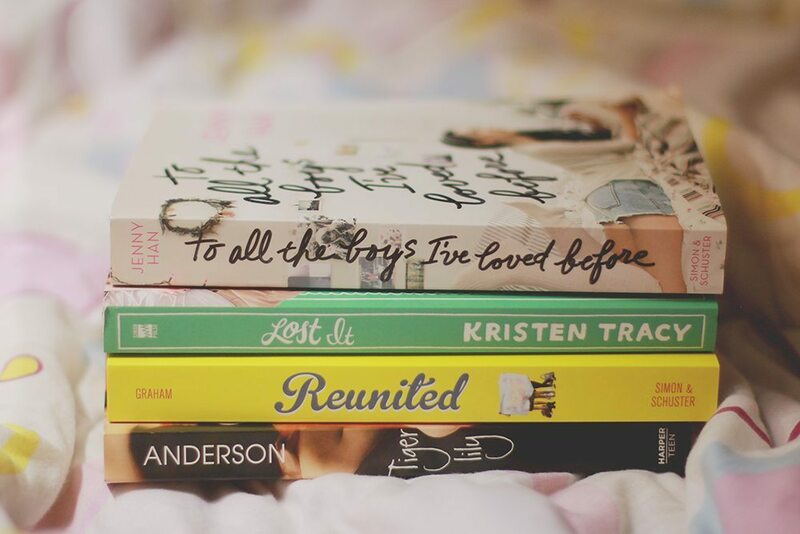 I’m dying to read To all the boys I loved before… Do want. Where did you buy Tiger Lily?